Garden State Gas Heat & Air Conditioning is located in Freehold, New Jersey and provides HVAC services for Central New Jersey residents. Founded in 1954, Garden State offers all makes and models to suit your home HVAC needs. Check out Air Conditioning Maintenance and Tune-Up tips on Garden State’s recently launched blog, and follow them on Facebook, Twitter, Pinterest, and Google+. 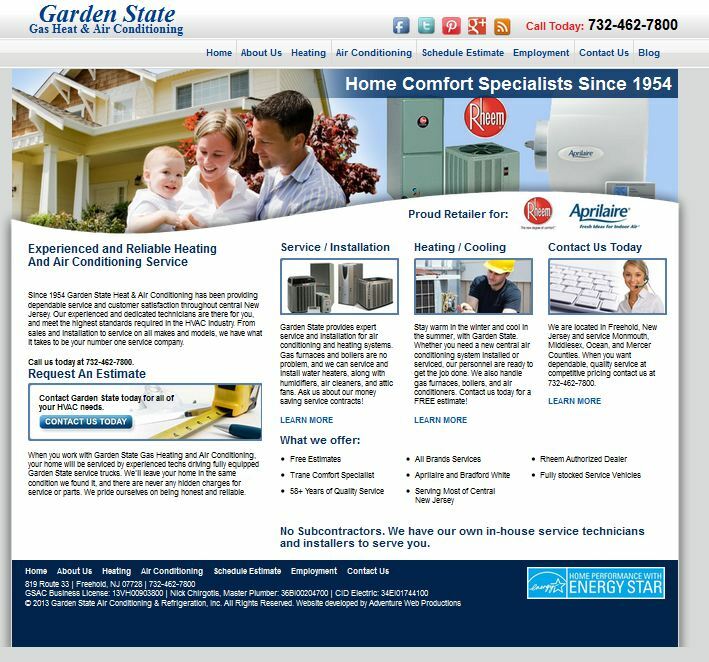 Look at the new Garden State Gas Heat & Air Conditioning website at http://www.gsaconline.com.